Shortly before Gov. 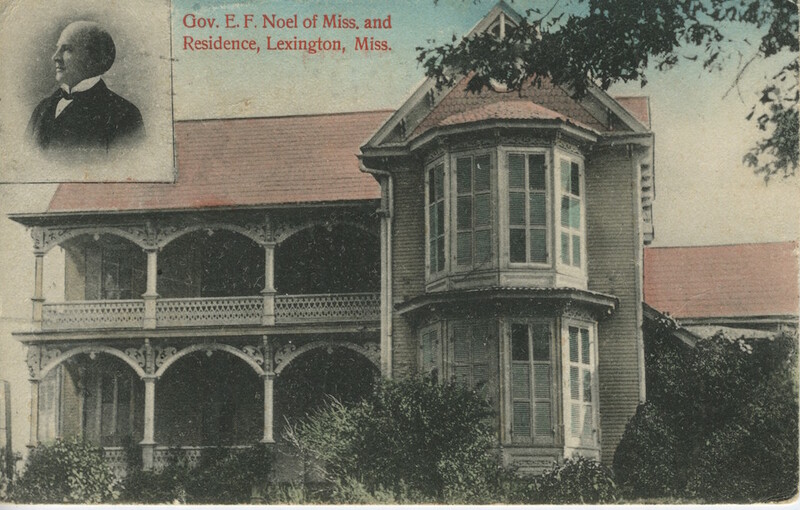 Edmond F. Noel’s inauguration on 21 January 1908, several Jackson businessmen recommended the sale of the Governor’s Mansion and the commercial development of the city block that the 1842 mansion occupied. The Jackson Clarion-Ledger, calling the mansion a “ramshackled old barn,” also urged the legislature to dispose of the sixty-six-year-old building, which was in very poor condition. Some businessmen also wanted to demolish the Old Capitol, which had been replaced in 1903. Governor Noel and the First Lady, Alice Tye Neilson Noel, did not favor either proposal and saved the mansion from destruction, spearheading the historic structure’s first major renovation. 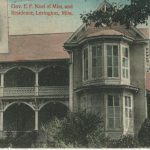 While the mansion was being renovated, Noel and his family lived in the Edwards Hotel. The original family cottage on the north side of the mansion was replaced by a modern, two-story family annex, and the original staircase was replaced by a single flight of stairs leading to an interior balcony. Born on his family’s plantation in Holmes County on 4 March 1856, Edmond Noel was an influential state legislator before his election as Mississippi’s chief executive. After serving in the Mississippi House and as a district attorney, Noel was elected to the State Senate in 1895 and reelected in 1899. As a state senator he authored a constitutional amendment providing for an elective judiciary and the Noel Primary Election Act. After an unsuccessful bid for the governorship in 1903, Noel won the office four years later. His administration was characterized by many progressive reforms, especially in education, among them the consolidation of rural school districts, the establishment of agricultural high schools (later the state’s junior/community college system), the establishment of a teachers college at Hattiesburg, and the beginning of agricultural extension work. Other major reforms achieved during Noel’s administration included a child labor law, a pure food law, the establishment of a state charity hospital, and the enactment of a statewide Prohibition law. In response to violence between railroad workers striking against the Illinois Central and strikebreakers hired by the railroad company, Noel sent in the National Guard. 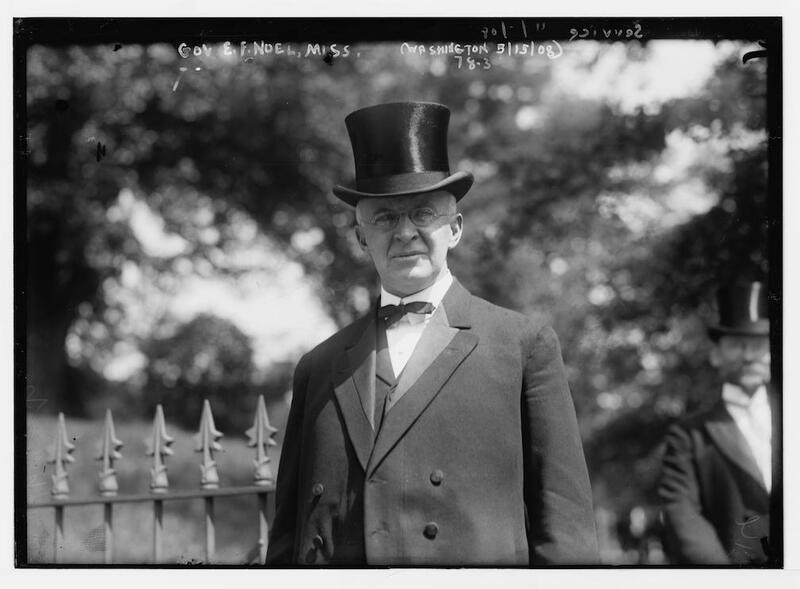 After his term expired in January 1912, Noel remained active in state affairs. In 1918 he ran for the US Senate but was defeated by Pat Harrison. Two years later he again won election to the State Senate. 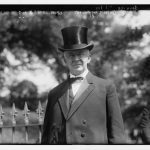 He was reelected in 1924 and died at his home in Lexington on 30 July 1927.